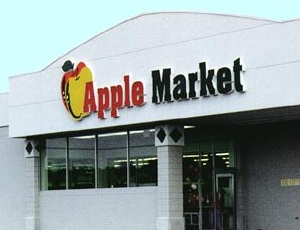 Apple Market is a fresh food supermarket concept, concentrating on high quality perishables and convenient neighborhood locations. Unparalleled customer service is an important part of the Apple Market concept. These stores provide a warm atmosphere filled with friendly employees whose common goal is to meet the needs of the customer.